One of the things I like about summer is that I could store in my fridge a big bowl of ice cream and taste them after a cool bath. That feeling is great even though someone tell me that ice cream is making people fat. But I don't be afaid of anthing that have big calorie or fat since I was born a natural slim body. Friends says that my genes are so great that I can enjoy month happiness better than those people who are easiliy getting fat. 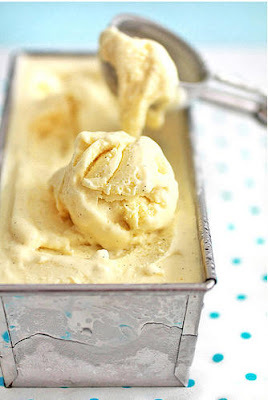 I thinks for my health, I would learn to make ice cream myself at home. DIY ice cream must be fun and can be more personalized and more healthy since you won't add any potential bag elements into it. There is many tips for ice cream DIY, and I would contribute some of them in my later posts and won't say anything here today. Anyway, it require that you are a lady who loves kithen work and loves yummy food creation and most of all, not lazy at all. It may not be as easy as you think about, you can encounter many obstacles in the process.